The composition of concrete can vary widely, and there is little quality control to ensure reliable material for the construction of buildings, highways, bridges and more. 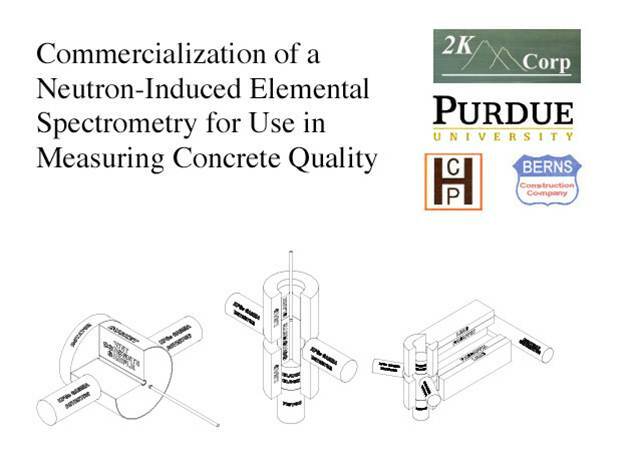 We are currently in the process of commercializing neutron-induced gamma spectroscopy to perform elemental analysis to determine the quality of concrete. Copyright © 2005 Purdue University Applied Physics Laboratory. All rights reserved. Questions or comments about the website? Email martindl@purdue.edu .